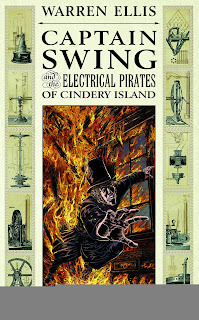 The penultimate issue in Warren Ellis' story about the old versus the new, law versus order, and steampunk versus victorian. It's good fun even if its been heavily delayed to a point where I have trouble recalling what's going on. Warren Ellis is known for writing crazy stuff, and often teaming up with the publisher Avatar so as to be free to write whatever bizarre idea he has--which generally results in awesome stuff. Captain Swing has been a tale about making technology free and futuristic when faced with an old era that refuses to accept it. Its also very British, with talk of Peelers and Bow Street Runners fighting against one another, and everyone being written as having a thick accent as this does take place in the UK. 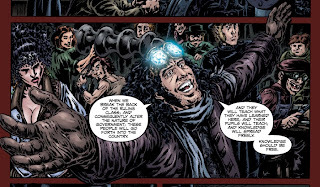 This issue is more steampunk machinery mixed with talk of the future and making a better world, along with lots of action occurring too. It is fun stuff. This series has been plagued by long delays, which makes it hard to remember parts of the story, but the great art by Raulo Caceres (whom I had not heard of till now but boy is he good) makes the waiting feel a bit less painful. 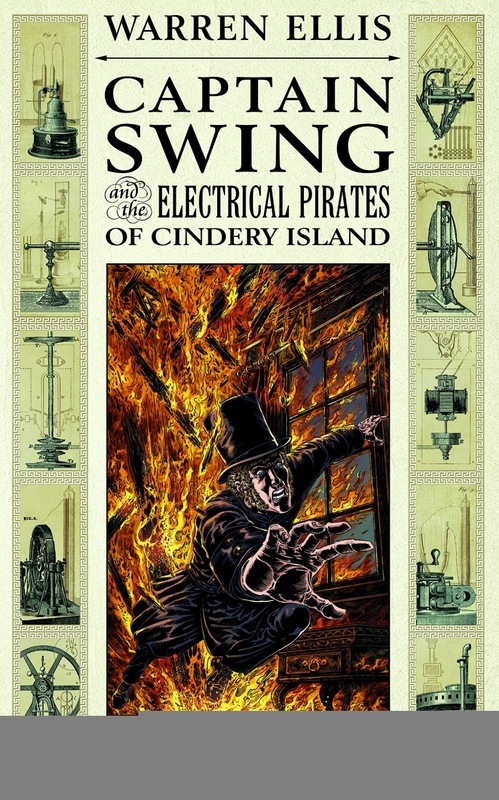 Ellis turns in a zany story as he has a knack for, Caceres does a great job, and everyone reading feels satisfied overall. Maybe issue four won't take as long to come out, but while you wait you could raid the back-issue bins for this comic or anticipate the trade that will eventually probably come out.